Now, for a lot of us, summer is winding down. Pools are starting close, schools back in session and the fall temperatures are beginning. If you're one of the millions who is sad that the summer is over (I'm not, because I'm pretty sure Kansas had an average temp. 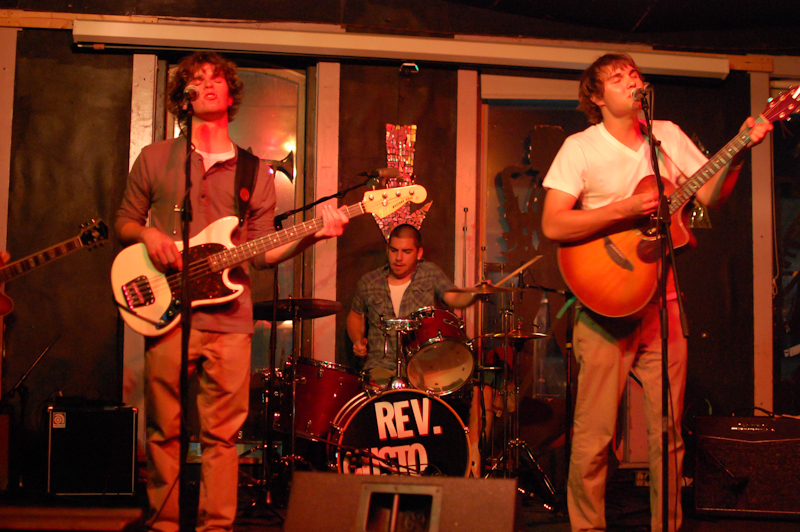 of 110 this summer), I'd recommend the new track KC's own Rev Gusto. Their newest track, "Blood In A Bag" is a very great indie rock tune. Nicely paced, glorious vocals, and a very almost cute sounding instruments (I feel like i could cuddle with the synthesizers on the verses of the song). It's a super fun song that really makes me see why these guys are getting more fans every day. These guys just play fun, sunny music that could make even the saddest dude a little happy. These guys are playing on the 21st at Barnyard Beer in Lawrence with The Yampers and Sick/Sea. I'd definitely recommend trying to catch them. Should be a good show. And to convince you to go, the single I raved about here is streaming below. Check it out!